I write today with an extremely heavy heart. This morning the kids and I packed up to head out for our hike. It was a normal routine. Eating breakfast, packing lunch, lacing up our boots, and loading the truck up. Today was different, I just didn’t know how different. The moment my boots hit the porch, I was plowed by the smell of burning pines and my eyes watered up from heavy smoke fog. Instantly I knew it was going to be a possibility we’d not get to hike. However, my kids wanted to hike. 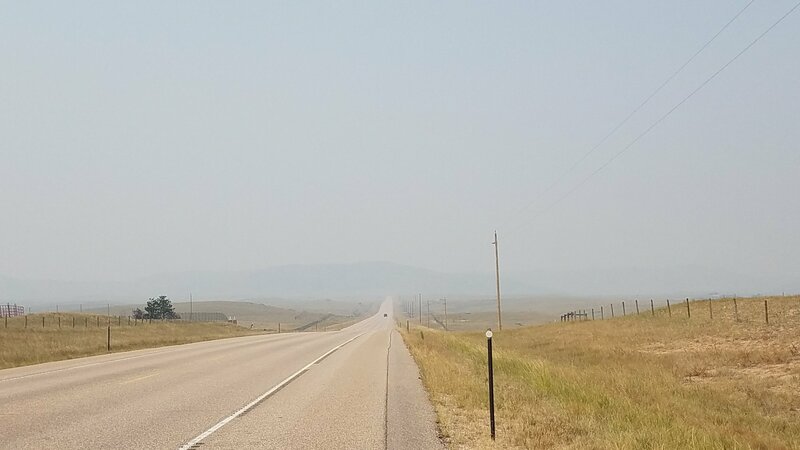 So we drove up towards Laramie, that is when I began to sob. Yes, sob. I couldn’t stop. The mountain scape was hidden behind a layer of wildfire smoke. 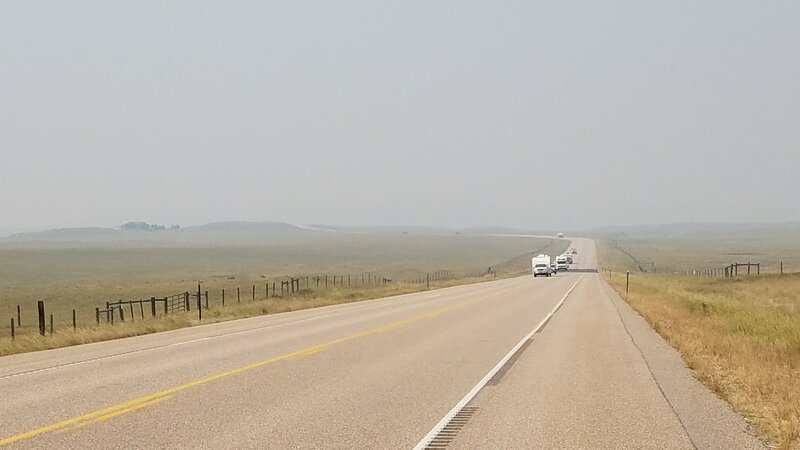 As we drove closer we watched camper after camper drive away from the smoke. My daughter cried. ” Mommy what about the animals” My son worried “Are people dying?”. I uncontrollably wept. The kids and I talked. Krystina cried “Mommy where are the water planes, why can’t the just put it out” I explained that even rain evaporates before it hits the fire because its so hot, how the wind feeds the fires and its destroying our lands. 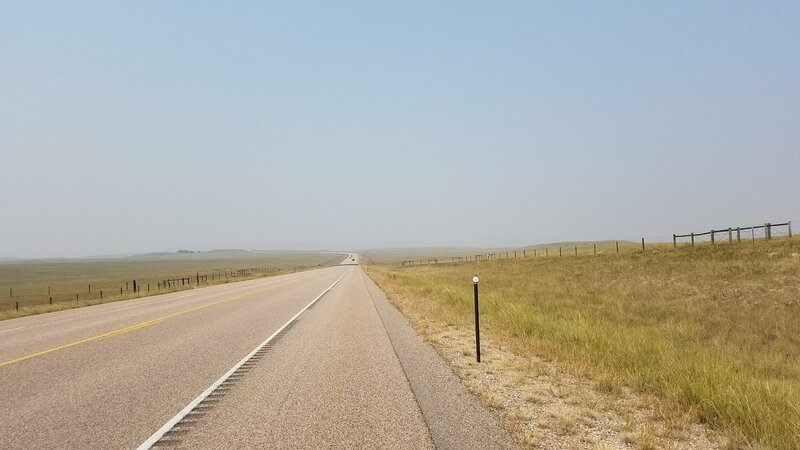 We are in Cheyenne so the wildfires don’t threaten our home, but the smoke is so thick we cannot hike. The babies cannot breath and I cannot see without watery eyes. We had to turn around, but not without broken hearts. Mountains you should see clearly. We drove closer until we could see them. My children wept and I cried. My brother is in Montana and it hurts knowing there’s nothing I can do. Our land is under fire. The land that gives my son the much needed therapy he can’t get from any therapist, the land that is my fortress, the land that one day I hope to explore, and the land my children will one day inherit. Please remember our land that is underfire. Next Post Why I wasn't healthy when I was "fit"